Pet owners need real solutions in improving the health of their four-legged friends. Pets are now living longer, and as they do, pets are becoming a more integral part of our lives. Whereas our pets used to spend their nights outside, we now live in a world where we share our beds with them! Across society, pets become more accepted, more regular, more expected. They are family members in their own right, and they deserve the very best of our attention. The U.S. pharmaceutical companies which make drugs for pets are now multi-billion dollar industries. We drug up our pets almost as much as we drug ourselves. Neither approach is necessarily the wisest of our available options. There is a great demand for holistic medicine for our pets, a desire to see pets living happy and healthy lives without being doped up on drugs. Furthermore, there are those pets who simply cannot be given pharmaceuticals, like pets with certain kidney or liver conditions for example. For these pets and many others with more conscientious owners, holistic veterinary practice through traditional Chinese acupuncture is a reliable and desirable choice. Chinese acupuncture, a practice of holistic medicine that’s been used on humans and pets in Eastern cultures for millennia, is now available in the Western world. Traditional Chinese acupuncture is an effective approach to medicine, an ancient healing therapy that has been in use for thousands of years. Chinese doctors were using acupuncture to relieve pain and resolve health conditions long before Western medicine even began, and since then, much of Western medicine has brought various acupuncture therapies in and combined them with modern healing techniques. But what is the “science” behind acupuncture? It’s actually quite simple. A healthy body is one which flows energy, which the Chinese call “Qi,” along “meridians” which are the pathways of energy, to all of the acupoints of the body. A misalignment or blockage in the flow of energy contributes to diseases and chronic pain. It does so because, when energy cannot flow properly from one acupoint to the next, blood flow to areas of the body are hampered, the immune system loses virulence, and the body becomes more susceptible to ailments. This is where the application of acupuncture comes in. Using acupuncture needles, the previously stopped or stuck energy and blood flows in the body are carefully manipulated back into their appropriate tracks. This restores blood flow, increases white blood cell circulation (which boosts the immune system) and smooths out the flow of the central nervous system (which causes relaxation and reduces pain in tandem). Acupuncture needles are applied in the right acupoint locations for the right duration, all depending on the symptoms experienced by the patient and what they hope to accomplish with acupuncture. Acupuncture needles can add or subtract Qi energy from an acupoint, depending on which will be needed to resolve an ailment. 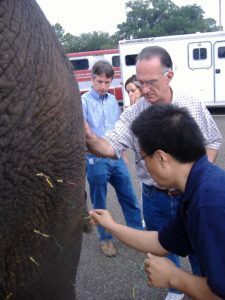 How can Chinese Acupuncture be Applied to Veterinary Medicine? Let’s look at an example of how Chinese acupuncture can be applied to veterinary medicine. Say a pet owner comes to a veterinary practice that offers veterinary acupuncture. In this scenario, let’s say that the owner’s pet is currently struggling with a bout of nausea and vomiting. In dogs and cats, there is an acupoint called “Stomach 36” which is located just below the knee joint of both species. The knee joint in a dog or cat is called the “stifle.” When this acupoint is triggered with acupuncture needles, the result will be a relief of nausea, vomiting, or other stomach-related ailments. Setting an acupuncture needle on this location also results in increasing the circulation of white blood cells throughout the body of the animal, thus improving the immune system, relaxing sore muscles and joints, and relaxing the nervous system of the animal as well. In the above example, just using acupuncture in one area of the pet’s body not only resolved the condition (nausea and vomiting) but the process also had the positive results of restoring a harmonious balance to the pet’s body, a reduction of pain, and a physically calming sensation. Veterinary acupuncture can assist a pet’s body in healing itself as opposed to simply masking symptoms or coping with symptoms, as so many other approaches to medicine take. Acupuncture promotes a natural healing process by assisting the pet’s body in making certain physiological changes. Veterinary acupuncture stimulates nerve function in an animal’s body. The nervous system is the control and monitoring function of a body. It is the ignition coil in the engine of the body. The better the nerves function, the better the entire body functions. Another benefit to veterinary acupuncture is that this process increases blood circulation. If the nerve system is the control unit, the ignition coil one could say, then the blood circulation in any body (not just pets) is the very engine oil that determines healthy function. Proper blood circulation and flow are crucial to the health of a pet. When blood flow tapers off in an area, that area will suffer and disease or adverse conditions will be just around the corner. Veterinary acupuncture relieves stoppages or tense areas and allows for better blood circulation. One of the most sought-after benefits of veterinary acupuncture is its natural, pain-relieving properties. When a pet is treated with acupuncture, the process relieves muscle spasms and causes the release of hormones like endorphins and cortisol. Endorphins are the body’s own, natural pain relieving agent, and cortisol is a natural steroid that also reduces pain. Veterinary acupuncture is the drug-free pain relief solution. Perhaps one of the best benefits of veterinary acupuncture is it seeks to solve the physical ailments of pets, the diseases, the allergies, the health conditions etc. The entire theory behind acupuncture is that a body with properly flowing Qi energies along all meridians is a body that will be healthy. Acupuncture treats ailments and diseases, removing them through multiple treatments. Veterinary acupuncture is not only limited to one method of acupuncture (i.e the traditional acupuncture which uses extremely small, dry needles). 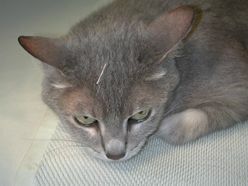 When it is appropriate or needed, veterinary acupuncture also utilizes both Aqua-Acupuncture and Electro-Acupuncture. In Aqua-Acupuncture, a soluble solution such as water, saline, or dissolved vitamins is injected into the animal’s body through the acupuncture needles. In Electro-Acupuncture, a very slight electronic current is passed through the acupuncture needles and into the acupoints of the pet’s body. Both Electro and Aqua-Acupuncture serve their purposes well and are uniquely suited to helping patients. Veterinary acupuncture has the doubled benefit of addressing the specific ailment of any pet while also resulting in a body-wide relieving effect. Acupuncture approaches the body as being a full and complete system, so acupuncture does not isolate only certain bodily systems to address. Therefore, a positive trait of acupuncture is that it benefits the entire body, mind, and spirit, not just the affected area or areas being treated. Veterinary acupuncture promotes the removal of toxins, metabolic wastes, adverse or invasive substances, etc. As veterinary acupuncture promotes better bodily function and far better circulation, a natural phenomenon of veterinary acupuncture is that the pet will secrete toxins, wastes, and harmful substances from its body shortly following acupuncture treatments. Veterinary acupuncture literally “cleans up” the body of the pet. Veterinary acupuncture has no adverse side effects, standing proud as one of the only veterinary practices that literally cannot hurt the animal it is used on. This benefit stands in stark contrast to pharmaceutical veterinary drugs, drugs which bring with them a bevy of adverse side effects. Veterinary acupuncture has many benefits. This is a superb way to afford a better condition of health and happiness for our pets. Veterinary acupuncture involves far more than just acupuncture. This is an all-encompassing approach to medicine, just as Chinese doctors intended. Acupuncture is actually only one facet of a comprehensive treatment approach. Veterinary acupuncture falls under the umbrella of a comprehensive plan of treatments called “Traditional Chinese Veterinary Medicine” also commonly abbreviated as TCVM. Thousands of years of practice and millions of cases observed has built the foundation for TCVM’s model, the model that the patient is an organism which has interrelated energetic parts. These parts all correspond, one to one another, working together, affecting each other, etc. TCVM is a holistic medicine which seeks to address the body and spirit of the animal, and it does so by using acupuncture, massage, herbs, supplements, diet, exercise, etc. TCVM is a completely drug-free approach to veterinary medicine, and is much appreciated for that. 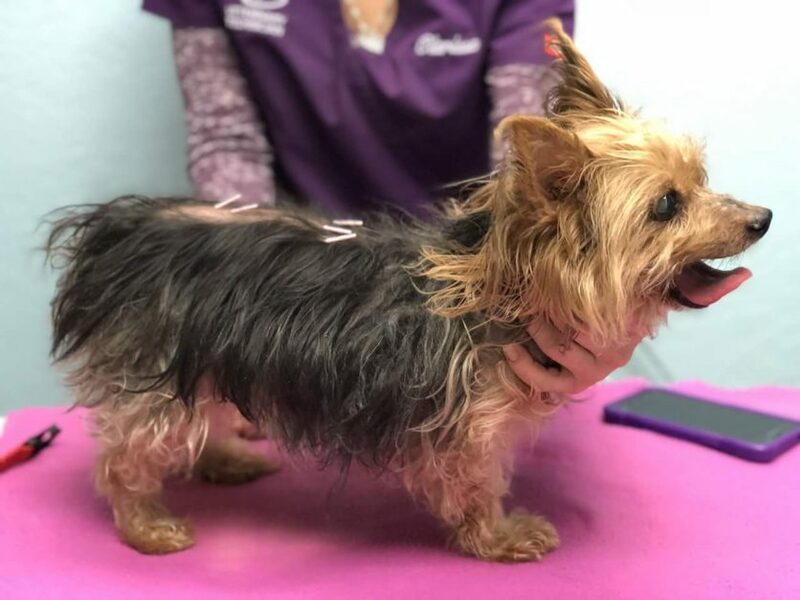 With veterinary acupuncture, Dr. Rainey is able to bridge the gap between medicine and surgery, enabling him to treat thousands of pets without having to perform nerve-wracking and sometimes risky surgeries on them. Dr. Rainey is able to afford a comfortable, happy, and long life to thousands of pets every year through his use of Traditional Chinese Veterinary Medicine. For more information, call Countryside Animal Hospital at (502) 222-4663.